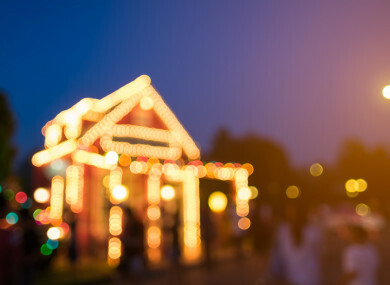 GARDAÍ IN WEST Cork are investigating after a charity box at a Christmas lights display raising money for cancer supports was stolen. A home near the village of Leap had an array of festive lights and decorations outside it, with a charity box collecting money for Cancer Connect which is a local service that transports patients to their treatment at city hospitals in Cork. Sergeant Ian O’Callaghan, of Bandon Garda Station, told Patricia Messenger on C103′s Cork Today Show, that it was a “particularly nasty crime”. He said it was commonplace for charity boxes to be put outside houses with particularly striking lights displays to help raise money for a good cause. “The robbery happened on Christmas Eve between 6pm and 8pm,” the sergeant said. It was stolen from outside the private residence. The box was fixed to a galvanised pole, and the whole unit was stolen. Around €100 was stolen from the box, which had the words “Cancer Connect” written clearly on it. “Someone may have seen the box thrown somewhere potentially, and gardaí at Clonakilty Garda Station are investigating,” O’Callaghan added. Email “A charity box at a festive lights display was stolen in a Cork village on Christmas Eve”. Feedback on “A charity box at a festive lights display was stolen in a Cork village on Christmas Eve”.